This 2002 text directly follows on from Freedom and Determinism (2001) not only with a deeper understanding of the distinction between Nature and Civilization, but with greater insight into the division within both Nature and Civilization of sensual and sensible alternatives, as well as with a wider interpretation of Nature and Civilization such that brings a more exactingly comprehensive perspective to bear on each, whilst still adhering to a specific civilized bias, as before. But as well as an enlargement of perspective which allows for a sharp differentiation between the natural and the man-made, or artificial, there is an enhancement of logic such that clarifies the issues of salvation and damnation as never before, so that there can be no doubt as to the issues involved and on what basis a sensible alternative to a sensual predominance should be achieved. In this respect, the distinction between freedom and binding, so characteristic of various earlier texts, is less symptomatic of the one or the other than of both sensual and sensible contexts, if with vastly different emphases, as described in some detail in what is, by any accounts, the most lucidly and logically consistent apologetics for an omega alternative, in sensibility, to an alpha-besotted decadence and/or barbarity, in sensuality, that could be imagined. Finally, I have to say that the final cycle, which was originally an appendix, is virtually as significant as the work itself in the way in which, as the effective omega-point of the text, it brings to a long-overdue head a dichotomy which until quite recently I hadn’t realized was expressive of a generalization, but which at last, in rather more than Kantian or Schopenhauerian fashion, I was able to utilize in both concrete and abstract, natural and psychic realms on terms which do it altogether more specific contextual justice - the dichotomy, I mean, between the phenomenal and the noumenal which, at long last, I have decided to bring into line with that elemental comprehensiveness for which, I hope, my philosophy will be esteemed in times to-come. – John O’Loughlin. John O’Loughlin was born in Salthill, Galway, the Republic of Ireland, of mixed Irish- and British-born parents in 1952. Following a parental split he was brought to England by his mother and grandmother (who had intially returned to Ireland upon the death of her Aldershot-baseed husband after a lengthy marital absence) in the mid-50s and subsequently attended St. Joseph's and St. George's schools in Aldershot, Hants, and, upon the death and repatriation of his grandmother, also spent a short spell at a school in Oakham, Rutland, before, with an enforced change of denomination from Catholic to Protestant in consequence of having been put into care by his mother, he attended first Barrow Hedges Primary School in Carshalton Beeches, Surrey, and then Carshalton High School for Boys. Upon leaving the latter in 1970 with an assortment of CSEs (Certificate of Secondary Education) and GCEs (General Certificate of Education), including history and music, he moved to London and went on, via two short-lived jobs, to work at the Associated Board of the Royal Schools of Music in Bedford Square, where he eventually became responsible, as a clerical officer, for booking examination venues throughout Britain and Ireland. After a brief flirtation with Redhill Technical College back in Surrey, where he was then living, he returned to his former job in the West End but, due to a combination of factors, left the ABRSM in 1976 and began to pursue a literary vocation which, despite a brief spell as a computer/office-skills tutor at Hornsey Management Agency within the local YMCA in the late '80s and early '90s, he has steadfastly continued with ever since. His novels include Changing Worlds (1976), An Interview Reviewed (1979), Secret Exchanges (1980), Sublimated Relations (1981), and Deceptive Motives (1981). 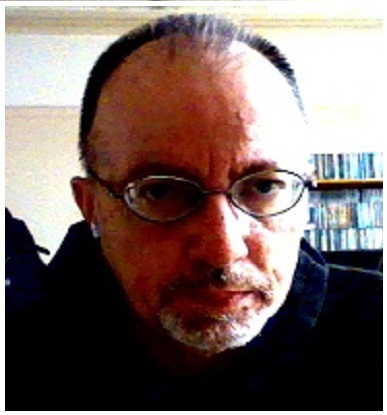 Since the mid-80s Mr O'Loughlin has dedicated himself almost exclusively to philosophy, which he regards as his true literary vocation, and has penned more than seventy titles of a philosophical nature, including Devil and God (1985-6), Towards the Supernoumenon (1987), Elemental Spectra (1988-9), Philosophical Truth (1991-2) and, more recently, The Best of All Possible Worlds (2008), The Centre of Truth (2009), Insane but not Mad (2011) and Philosophic Flights of Poetic Fancy (2012).